Break away from your busy routine with Sanpellegrino Pesca+tea, the organic sparkling peach tea from Sanpellegrino. The first organic beverages from Sanpellegrino made with delicious tea extract and Italian fruit juice. Sanpellegrino's signature sparkle gets added to organic fruit tea. 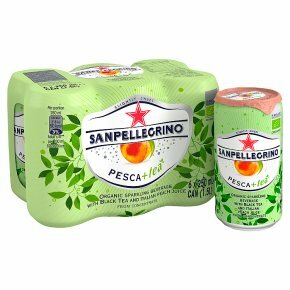 Pesca+tea, Sanpellegrino's new sparkling fruit and tea beverage range made with 5% real Italian fruit juice.